Your liver is a very important organ that has many jobs. Some of its jobs are to make proteins, make bile to help you digest fats, store energy, and break down some toxins and medicines. Liver function tests are done if you have symptoms of a liver condition, such as turning yellow (jaundice), or you have pain around your liver. They are also checked if you are taking medicines that can affect how your liver works. Protein: this is the total of all the different types of protein in your blood. Albumin: this is the main protein your liver makes. It goes into your blood and helps to carry many things around your body. Bilirubin: this is something your body makes when it breaks down old red blood cells and replaces them with new ones. Bilirubin gives bile its yellow colour. GGT: this stands for gamma glutamyltransferase, which is an enzyme in your liver. ALT: this stands for alanine aminotransferase, which is another enzyme in your liver. AST: this stands for aspartate aminotransferase, which is also an enzyme in your liver. Most blood tests that look at your liver do not give an exact answer to what is wrong with your liver, they just give a clue that something might be wrong. It can be difficult to interpret the results of your liver function tests. There can be many reasons why your bilirubin might be high. One is a harmless condition called Gilbert's syndrome, another is a blockage of bile flow in your liver, such as from gallstones, or it could be because you are breaking down more red blood cells than usual. If your ALP is high, this can be a sign of liver damage or a problem with your bones. If your GGT is raised it can be a sign you are drinking too much alcohol, using certain medications, or have liver or bile duct damage. If your AST or ALT are high, this can be a sign of inflammation or damage in your liver. If your albumin levels are low this can be a sign that your liver is not working properly and not making proteins. It can also happen if you are malnourished (not eating enough, or not eating the right foods). This will depend on what your blood tests show and how abnormal they are. Some minor abnormalities will come back to normal on their own, and your GP will simply repeat the blood test and monitor the results. If your blood tests show problems in your liver then you may need more blood tests or scans, such as an ultrasound scan, to find out what is wrong. Talk to your GP if you have any questions about your liver function tests. 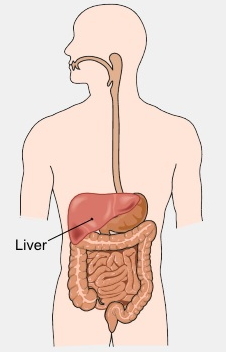 This page has information about liver function tests including what they measure and what they are used for.